Hi from Southern California! My name is Kay and I teach a class of 24 Kindergarteners, which includes 11 English Language Learners. I was excited to have the opportunity to use the Kindergarten Root Study Program to teach my class about prefixes. As part of the Common Core, students should be able to use common prefixes and suffixes as a clue to determine the meaning of unknown words. This program addresses the standard perfectly. I decided to begin with the prefix "un-." The students already had an understanding of opposites and I felt that they could make the connection between their knowledge of opposites and "un-", the prefix that means "not" or "the opposite of." First I read the Prefix and Suffix Picture Book (included in the materials) to the students. It helped them to understand that a prefix is at the beginning of a word, and when it is added to a word, it changes the meaning of the word. At this point, I had the students get up and move! 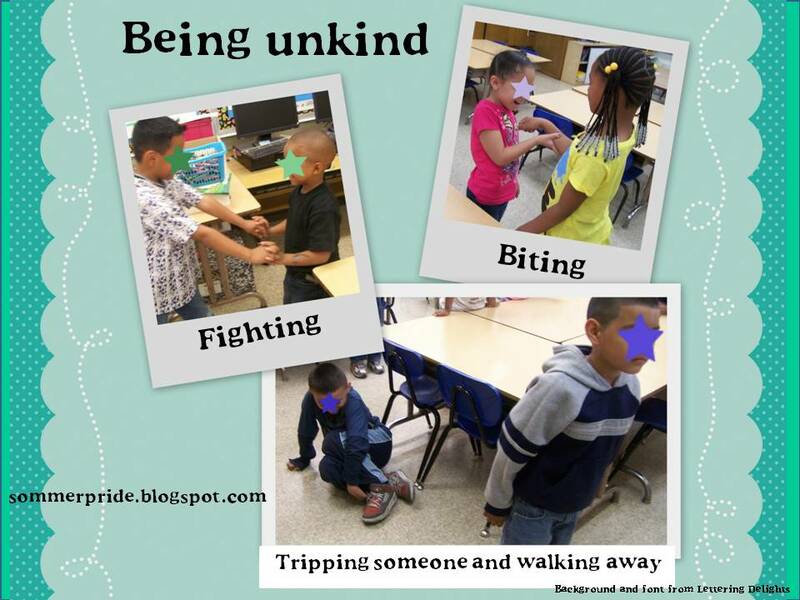 Students worked with a partner acting out being kind to one another. ACTION! Then they acted out being unkind to one another. AND ACTION! This really helped them understand that adding the prefix "un-" to a word changes the meaning! Students then worked on making the first page of their book. After some teacher modeling, the students cut out and glued together the puzzle pieces for "un" and "kind" to make the new word unkind. The next day we worked on another page in the book. The students cut and glued together the puzzle pieces for unafraid. We love Thinking Maps at our school! So we came back together and brainstormed all of the words that we could think of that begin with "un-." I had pictures ready to glue on to the circle map, so these were the words I was guiding the students toward. I chose easier words and we used actions and/or stories with the words. We also completed a tree map to organize examples and non-examples of words with the prefix "un-." The students really enjoyed learning about prefixes! I think we will work on some more next week! Love the map and tree ideas:) Thanks for sharing! I love your ideas with teaching -un. Thank you so much for sharing. Love the thinking map!! I have been wondering how to teach this. Now...how do I assess? I love your use of Thinking Maps! They are so easy to use! I LOVE that you implemented whole language skills. I really wanted a chance to see how ELL students would do and I am so impressed. You implemented language, speaking, listening, reading and writing in such a fun and seamless lesson!!!! Thank you so much for participating and for sharing your teaching gifts with so many others!! What a well planned lesson indeedy!! Hi Kay, I love the Thinking Map idea! Just found your blog through Mrs. Rios, I'm your newest follower!